JISC has just released another in its Effective Practice series of guides, this one focussing on lifelong learning. It’s called Learning in a Digital Age and is available to download from the JISC publications site. Several of these case studies involve the use of eportfolios to support lifelong learning. Each case study in the document is quite succinct but there are links to more detailed information on the publication’s page on the JISC site. Particularly interesting are the examples from Thanet College (reflective practice as part of CPD) and the University of Wolverhampton (eportfolios in work-based learning). This entry was posted in Uncategorized and tagged JISC, Lifelong Learning, Publications, Thanet College, Wolverhampton, work-based learning on June 14, 2012 by Chris Thomson. If your higher or further education institution or professional body is planning on implementing eportfolio-based practice then you’ll find these new resources, recently published by JISC, very useful. Following an extensive investigation by Gordon Joyes and Angela Smallwood at the University of Nottingham that I mentioned a while ago, JISC have released an eportfolio implementation toolkit. Why should you use eportfolios? How do we decide what eportfolio to use? To support the release of the toolkit, JISC have also produce videos in which 5 institutions tell their own stories about eportfolios implementation. They are available on Youtube or to download from the JISC site. Each video has a slightly different perspective on eportfolios use. For example, Southampton Solent Uni’s story focusses on eportfolios supporting career progression and Birmingham City Uni deals mainly with learning, teaching and assessment. This entry was posted in Uncategorized and tagged Case Study, implementation, JISC, toolkit, video on March 23, 2012 by Chris Thomson. We had a full house for the latest of our JISC Netskills-run eportfolio workshops on Tuesday and judging by the comments on Twitter and in person it was well received. I’ll be adding the resources to the project page shortly but in the meantime I’ve archived the tweets from the event using Storify, embedded below. Incidentally, if you are looking for a web-based tool for collating a variety of social media (Twitter, Youtube, Facebook, Flickr etc) for your learners then Storify is worth evaluating. I’ll try and do a review in the near future. This entry was posted in Uncategorized on January 26, 2012 by Chris Thomson. Guest presentation details: How Can #ePortfolios Support 21st Century Learning? As mentioned in my previous post, JISC Netskills is running a workshop at New College Nottingham on the 24th January (for more information and to book, click here) and I’m pleased to be able to give you more details about the 3 guest presentations. The presentations cover some fascinating topics and the presenters themselves have a wealth of experience in this field. Who needs a system? Developing staff capacity to support learners in producing online portfolios. E-portfolios are a tool that allows learners to evidence their learning over-time, reflect and showcase their achievements. However, what happens when you don’t have an e-portfolio system? How can we take advantage of readily available tools to achieve the same benefits to learners? At the University of Salford we are building the capacity of staff on the PGCHE to discover for themselves the benefits of e-portfolios with a view to how they can use them with their students. This presentation will look at the impact the use of WordPress, as an e-portfolio tool, has had on staff development. It is clear that staff development impact also closely mirrors the impact that e-portfolios have on learners. So lessons on the PGCHE seem equally applicable to a wide range of learners. The University of Wolverhampton has been using an eportfolio system (PebblePad) since 2005. Eportfolio based learning is in place in a number of discipline areas such as Psychology, Education, Nursing, Midwifery, Sociology, Accounting, Pharmacy, Bio-medical Science, Human Resources, Dance, Sport, Art & Design, Law, Construction and the Built Environment to name a few. The majority of eportfolio practice across the institution starts with a scaffolded template approach. This template structure is evident in individual elements such as eportfolio based action plans and skills audits but the most widely used practice is that of eportfolio templates. Tutors across the institution create a scaffolded framework within an eportfolio for the learner to copy and make their own. The template guides the learner through completing the necessary elements but is flexible enough that learners can be creative in the development process. This session will look at a range of eportfolio templates and how they are used. It will showcase learners finished eportfolios that were once based on a template. Finally we will look at the most recent eportfolio developments at the university where we are using our eportfolio system for Distance Learning, where it is being used as both VLE and eportfolio. This presentation will focus on the progress that is being made in embedding the Mahara e-Portfolio system at Birmingham City University. In particular two case studies will be described which have had significant impact on subsequent adoption. The first of these relates to the Business School in the context of skills development for first year degree students, and also use with post-graduate students. The second relates to the Law School, again in the context of skills development. Examples of student e-Portfolios can be seen, and there will also be the opportunity to hear some feedback from students. This entry was posted in Uncategorized and tagged Alan Staley, Emma Purnell, Mahara, Neil Currant, PebblePad, Presentations, Wordpress, workshop on January 3, 2012 by Chris Thomson. At JISC Netskills, we are holding another of our successful workshops on how ePortfolios can enhance learning in higher, further and continuing education. We’ll be the guests of New College in Nottingham on Tuesday 24th January and we’d love to see you. Neil Currant from the University of Salford. I’m hoping to do short profiles on each in the weeks leading up to the event. There will be plenty of opportunities for meeting other people involved with eportfolios, try out a variety of eportfolio systems and explore some of the resources for support provided by JISC. Have a look at the resources from the previous events. This entry was posted in Uncategorized and tagged Alan Staley, Emma Purnell, JISC, Lisa Gray, Neil Currant, Netskills, workshop on December 2, 2011 by Chris Thomson. Hat tip to Ray Tolley. 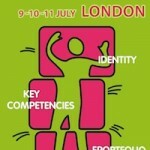 The 10th ePortfolio and Identity conference, a 3 day event, is being held in London at the Institute of Engineers and Technologists (IET) at Savoy Place from the 9th-11th July. The conference is open for registrations and contributions – follow this link for more information and to sign up. There’s an early bird discount for registrations booked and paid for before 15th May 2012. This entry was posted in Uncategorized and tagged Conference, ePIC, identity, Ray Tolley on December 1, 2011 by Chris Thomson. Just a quick post to flag up a recent post from David Hopkins of Bournemouth Uni, looking at the benefits of creating a portfolio based around blogging rather than a more institutional platform. In it he quotes from another post by Jim Shimabukuro which you can read directly here or better still, link from David’s post. It’s also worth following the links back to the original paper mentioned in both posts. You could also have a look at a post I did which has links to some nice case studies. 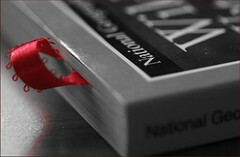 This entry was posted in Uncategorized and tagged Blogger, blogging, blogs, David Hopkins, Jim Shimabukuro, reflective practice, Wordpress on October 31, 2011 by Chris Thomson. I recently came across this video by City Univeristy Hong Kong, courtesy of @kl_ever. It’s a easy introduction to how eportfolios can help with presenting a person’s skills, knowledge and experience in a meaningful way to an employer as well as supporting their personal development before and after they graduate. It would make a great primer for anyone starting to explore the benefits of eportfolios in your institution. This entry was posted in Uncategorized and tagged City University, employability, Hong Kong, video on October 4, 2011 by Chris Thomson. 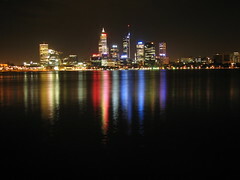 If you’re up for some late night keynote action (if you’re in European timezones) have a look at Alison Miller’s post on the details for the ePortfolios Australia 2011 conference. Monday 17 October 2011 – 9.30 am AWST – Kathleen Blake Yancey, Florida State University – Kathleen will discuss the ways e-portfolios are helping to make learning visible and making a difference to learning. Monday 17 October 2011 – 10.20 am AWST – Mary Ryan, Queensland University of Technology – Mary will share a transferable and customisable model for teaching and assessing reflective thinking. Tuesday 18 October 2011 – 9.40 am AWST – Ruth Wallace, Charles Darwin University – Ruth will discuss the implications of learner identity on improving the use of e-portfolios. Tuesday 18 October 2011 – 10.20 am AWST – Terrel L Rhodes, Association of American Colleges and Universities (AAC&U) – Terrel will share how e-portfolios give learners a voice and agency in their own learning through integrated and interdependent learning experiences. This entry was posted in Uncategorized and tagged Alison Miller, Conference, EAC2011, South Australia on September 27, 2011 by Chris Thomson. If you’re looking to learn more about eportfolios but don’t know where to start try these collections of bookmarks on Diigo. Chris Thomson’s ePortfolio List (me) – this is where I try to store most of the links to things I blog about here. It’s a bit more searchable than the blog itself. Currently 25 items and growing. MyPortfolio Group – “Everything to do with MyPortfolio, the ePortfolio service for New Zealand schools and ePortfolios in general”. Has a number of active contributors and has 68 items in there at the moment. If you have a selection of useful links about ePortfolios or related topics let me know in the comments. This entry was posted in Uncategorized and tagged Diigo, links, social bookmarks on August 22, 2011 by Chris Thomson. Chris Thomson on Ewan McIntosh on “messy” eportfolios: Show your working! Matt on Ewan McIntosh on “messy” eportfolios: Show your working!